We’ve been warning investors for months about the war on cash. This war has been in full swing in Europe and the U.S. for a long time. Governments plan to use negative interest rates, confiscatory taxes and other techniques to rob savers of their wealth. In order to do this, they have to force savings into digital accounts at large government-controlled banks. As long as savers can hold cash, they can avoid many of these confiscation techniques. Therefore, governments must eliminate cash. The latest battleground in this war is India. 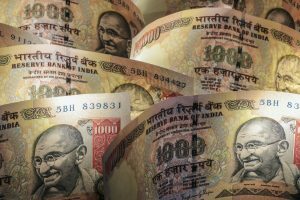 In a shock announcement on Nov. 8, India declared that 500- and 1,000-rupee notes are no longer legal tender. Imagine that — the money in your wallet or purse is instantly made worthless by government decree. That’s what happened. There were limited exceptions for hospitals and gas stations. Naturally, gas lines formed everywhere, and some people rushed to hospitals to prepay for future medical care with now worthless bank notes. The other exception to worthlessness was if you deposited the notes in the bank. There you would receive “digital credit” in your account. Of course, the tax man was waiting at the bank to ask you where you got the money. Those without an acceptable answer can expect trouble from the Indian Revenue Service. Click here to read why this is not the end of the war on cash. It’s just the beginning.